The Aurora Winter Festival will open this November at Vancouver’s Concord Pacific Place. 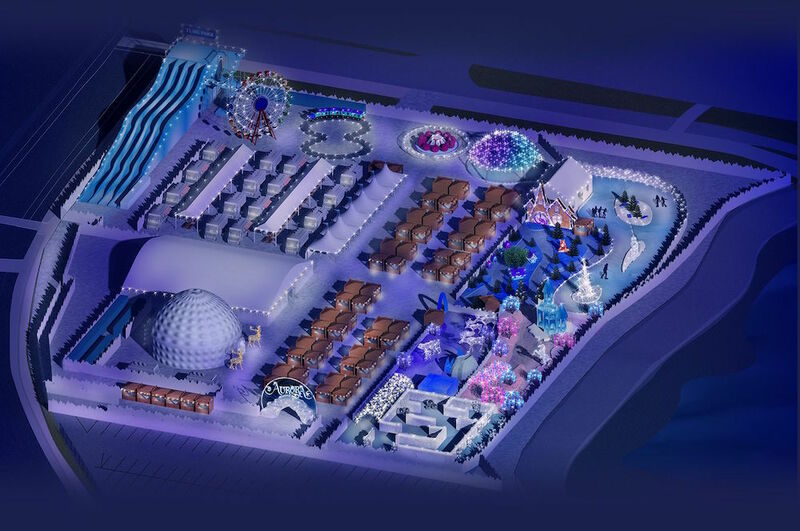 The family-friendly festival will offer elements inspired by the North Pole including mystical characters, captivating light displays, ice-skating on a frozen river, Santa’s workshop and carnival rides among other attractions. The outdoor festival will run from Friday, November 23rd, through to Sunday, December 30th, 2018. Concord Pacific Place will be transformed into a winter wonderland for six weeks this holiday season. Guests will be able to visit the four Mystical Worlds which feature giant sculptures, animated sets, and brilliant light displays. They may even cross paths with magical characters including ice elves, the snow queen, a yeti, and of course, Santa. The festival also features a light dome showcasing the Aurora Borealis, a tube park, a frozen river with light installations, a 60-ft ferris wheel, an entertainment tent with live music, a variety of food trucks, and a market with 50 holiday-inspired vendors. Those seeking adventure can join the Mystical Worlds Quest. The Quest is driven by an interactive app that leads guests across the four worlds in search of key icons that help keep the Mystical Worlds energized and beautiful. General admission starts on Friday, October 5th at 10am at $14.99 for children and seniors and $19.99 for adults. To purchase tickets or for additional information, please visit: www.aurorawinterfestival.com.